A babysitter gets more than minimum wage and free pizza. From the filmmaking duo of Christopher A. Micklos and Jay Sapiro comes The Nursery, a supernatural shocker which may make you think twice before accepting any babysitting gigs. Madeline Conway stars as a college student who finds herself and her friends menaced by an evil presence during what should be a routine Saturday night of babysitting. Emmaline Friederichs and Carly Rae James Sauer also star. 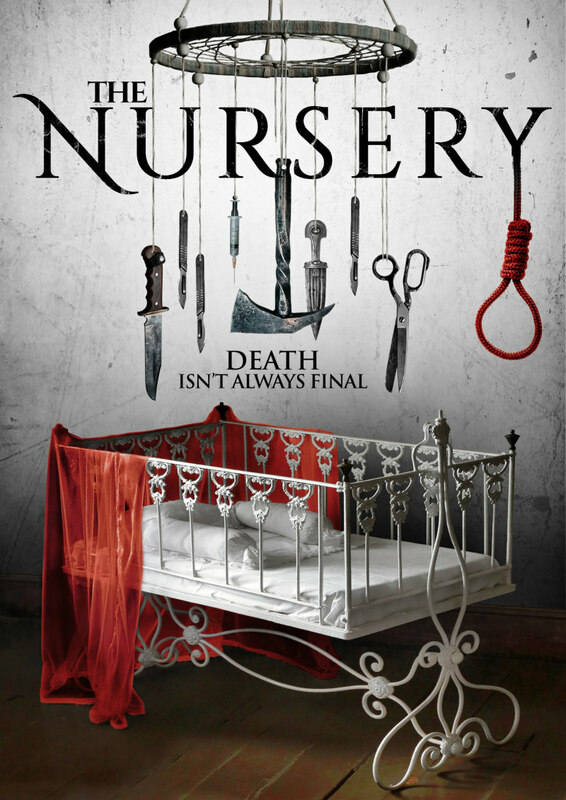 Uncork’d Entertainment will release The Nursery on VOD June 5th and DVD August 7th. When Ranae, a college student babysits for a family with a tragic history, she finds herself stalked by a sinister presence and haunted by ghosts from her own past. Soon, she and her friends must confront the angry, evil spirit hunting them down one-by-one on a deliberate march towards its ultimate prey.